Yes, another iPhone 3G S post in your feed reader today. But, before you move on to the next feed I want to tell you that this is not all about iPhone 3G S.
It’s no secret today is the iPhone 3G S launch day! We are getting blitzed by the media with news about it. There are lines and lines of people to grab one at AT&T and Apple stores around the world. But, it sounds like its far less a spectacle than what what it was last year. It was crazier last year when I was in a AT&T store line to get my wife’s 3G. And guess what? I am getting mine shipped right to our house today. In fact, it is in a FedEx facility about 50 miles from my house at the moment and should arrive here anytime. Being the nice guy I am, My wife has had a iPhone 3G since last summer. And if you didn’t already know we run a iPhone blog – Top iPhone Resource. That’s one reason why you don’t see any iPhone related posts thats typical of a technology blog. We just have a special blog for it! With another iPhone in the household, you can see our iPhone blog picking up steam shortly. There is even a site re-design in the offing celebrating the arrival of the 3G S. In fact, we are considering inviting guest authors to our iPhone site. Drop me a line via the contact form if you are interested. 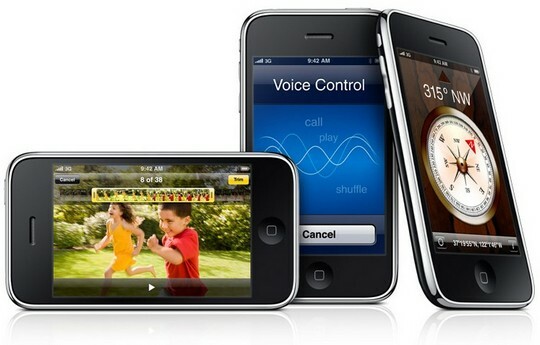 iPhone 3G S – Is it worth it? I have had friends wonder if 3G S is worth the purchase and here’s what I think. If you are new to the iPhone world or a first generation iPhone user, with 3G S you are getting a iPhone with all its past complaints (video, copy/paste/mms/ tethering,etc) addressed and with a kickass processor and memory upgrade. If you have a iPhone 3G, the iPhone OS 3.0 brings about so much improvements just through software and the 3G S doesn’t offer enough justification for the pricey upgrade option offered by carriers like AT&T. I’d hold off until the next iteration of iPhone comes out – possibly next summer. So if you are a iPhone owner, drop by at our iPhone blog and say hello. As lame as it sounds, we do want to make out site your Top iPhone Resource!